Bitcoin has gathered so much interest and enthusiasm since it came into the financial scene nine years ago. Over the years, the opportunity and potentials in the market has continued to increase in bounds. As a matter of fact, positive conversation that Bitcoin has generated since its inception has been massive. Many people have bought into it and have become millionaires within a short time. Unfortunately, not many people really understand what it is all about and how it works. There are still a great number of people who are still very skeptical about the crypto-currency business. If you are among this group of people, this topic has been designed for you. This content has been put together to help you understand what Crypto-currency is all about and how you can invest in it to change your financial fortune. So what is Bitcoin all about? It was introduced as open source software in the year 2009 and has been dubbed the first cryptocurrency in the world. It is a digital currency as it can only be used electronically. Bitcoin does not have a central issuing authority neither is it controlled by any institution. Although it is decentralized, the platform is as organized as any world-class financial institution. The process of transacting in Bitcoin is quite easy and very organized. As a holder of Bitcoin, you can transfer Bitcoin through a peer to peer network. The transfers are usually tracked on a platform known as Blockchain, which is usually referred to as Giant Ledger. The Giant Ledger keeps the records of all Bitcoin transactions that have ever been made on the platform. Each of the blocks on the Blockchain is made of data structure that is based on encrypted Merkle Trees. This process makes it easy to detect scam or corrupted files on the platform. As opposed to the world’s financial currency where people have to rely on the government to print and release new currency, Bitcoin’s Blockchain software controls the process of creating and releasing Bitcoin. In addition to this, the software keeps records of the locations of Bitcoins and ensures that all transactions on the platform are accurate and without any error. Currently, there are more than 17 million Bitcoins in circulation and the total supply to have ever been produced is pegged at 21 million Bitcoins. As indicated earlier, there is no central regulatory authority or political institution controlling the production and supply of Bitcoins. This means that its provision is controlled by design. Many people believed that the system of Bitcoin was intended to act as a deflationary currency against the use of hidden taxation to reallocate wealth by the government. 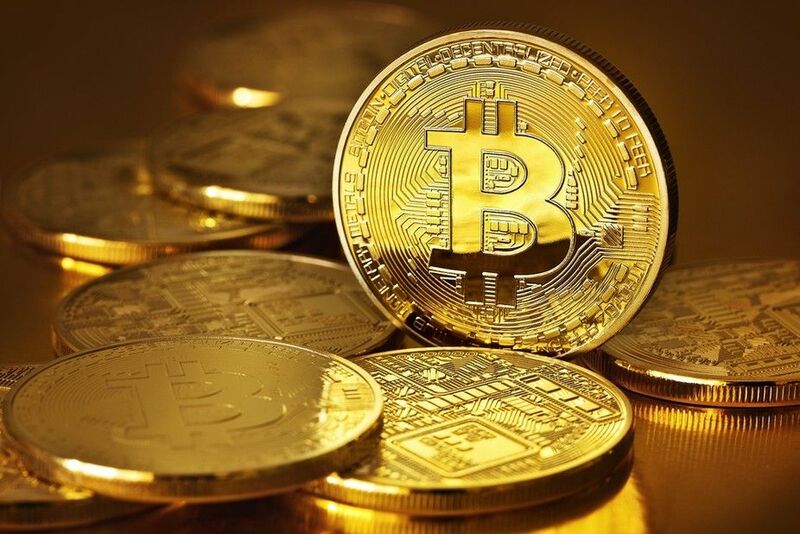 One of the most interesting features of Bitcoin is its thorough verification procedure which has helped to reduce the risk of fraud to a very large extent. As mentioned earlier, Bitcoin is decentralized. Therefore, miners, who are volunteers are regularly verifying and updating the blockchain. As soon as a set of transactions have been verified, another block will be included in the blockchain and business transaction continues. Since there is no single central server for verifying each transaction on the platform, each person on the platform verifies each transaction. To make the process a little bit clearer, understand that miners are faced with a complicated mathematical problem and the first miner to solve the problem will add the verified transaction block to the giant ledger. The calculations are done based on the Proof of Work (POW). It is important to mention that the job of solving the math problem and verifying transactions are not done by real humans working on computers. Rather, a set of hardware has been programmed to perform the Bitcoin mining. There is a built-in reward system that recompenses successful miners with a lump sum of Bitcoins. This reward system changes over a period of time depending on its programming. Usually, the block reward halves around every four years and currently, the reward for each of the new block of a confirmed transaction is placed at about 12.5 Bitcoins. The mining process is becoming increasingly refined. The most well-known technique uses ASICS (Application Specific Integrated Circuits) for the mining process. ASICS are sophisticated hardware systems that are similar to computers’ CPU. These ASICS are created solely for Bitcoin mining. The mining operations of Bitcoin take quite some effort and the stiff competition sometimes makes it hard for new traders to join the race and make gains. As a new miner, apart from having an adequate knowledge of how to compute, you must also know how to outwit the competition. You will also need enough capital to fund your operations on the platform. How to maintain and keep track of your Bitcoins? Before we talk about how to keep or maintain your digital currency, it is important to have some background knowledge of some terms used on the platform. Below are the detailed definitions of some terms you need to be familiar with before you start using your cryptos. This is where you trade your money for cryptocurrencies like Bitcoin, Litecoin, and Ethereum. Apart from regular money, it is also possible to trade one cryptocurrency for another. This is like your bank account where you keep your cryptocurrencies. This is the key that allows you to transact with your cryptocurrencies, including Bitcoin. This key is very important and must be guarded jealously. If someone else has access to this key, they can withdraw or transfer all your Bitcoins. This is your account number. It is quite similar to the physical bank account number that you keep with your financial institution. The same way you give your account number to someone to enable them to make a transfer of money to you, you can also give your public cryptographic key to someone to transfer cryptocurrency to you. With this understanding, let us move further to discuss all about Bitcoin wallets. When someone talks about Bitcoin hacking, what they meant is that the exchange platform is hacked. As explained earlier, the Bitcoin Blockchain structure is well protected making it highly impossible to hack. However, exchanges are quite a different story. In 2014 for instance, there was a massive exchange hack that resulted in the disappearance of 850,000 Bitcoins valued at over $350 million. This hack, known as the Tokyo based MtGox hack, was perhaps the most popular hack so far in the business. It is important to point out that this does not mean that Bitcoin itself was hacked but rather the exchange platform. The fact is that industries around Bitcoin are still relatively new and definitely not without their twists. Although most of the wallet platforms are believed to be very secure, the possibility of being hacked still create fear in the mind of the users. This is where hard wallets come in. Hard wallets simply refer to a USB that lets users store their cryptographic keys off of exchanges and offline. When your cryptographic key is stored on your hard wallet, the possibility of hacking into it is impossible, except of course, someone actually steals your hard wallet. Hard wallets are very secure and no one can access it. There have been stories of users who carelessly misplaced their hard wallets and are not able to recover their Bitcoins because of this. Many people have reported their inability to recover thousands and even millions of Bitcoins due to the loss of their hard wallets. To prevent this, many users opt for the use of ‘paper wallet’ which is basically having your cryptographic keys on a paper that is stored in a safe such as a bank vault. It is important to mention that paper wallets are not advisable but they can be handwritten or done through an online key generator. Using online key generator is risky because of threats from malware. What is the purpose of using Bitcoin? There has been a general consensus in the market that Bitcoin is the future of the financial world. This statement is not without reasons. In fact, there are numerous reasons why this is believed to be the case. Bitcoin offers freedom to currency holders. The fact that you can actually hold millions or even billions of dollars in Bitcoin across the world and practically purchase anything, anywhere and at anytime without having to face the usual bank delays is a strong selling point for cryptocurrencies. Its giving people power over their finances. Due to the potentials it has, Bitcoin has attracted people from all over the globe who view the current financial system as very unsustainable. Launched about a year after the financial crises in 2008, the strong selling points of this cryptocurrency has won many hearts, especially the hearts of those who do not believe in the government to maintain sanity in the world’s financial system. Currently, there is a large community of ideologists who are actively building, working, and buying into the cryptocurrency world. Financial institutions and organizations like PayPal charge certain fees to transact money on your behalf. With Bitcoin, you only have to pay a little fraction of the 2.5% transaction fee charged by the likes of PayPal. You don’t necessarily need to have your Bitcoin payments and transactions tied to your personal information. This is because personal information is not required when making transactions. Therefore, you don’t have to worry about exposing yourself to external threats like identity theft. In addition to this, it can also be encrypted and backed up to ensure total security of your funds. The public Blockchain of Bitcoin is very objective. Users trust the platform to be fair because it is founded on pure maths and cannot be affected by human error or corruption from dubious politicians. There is no doubt that Bitcoin has many advantages. However, in spite of its numerous advantages, there are still some significant issues that are associated with it. For instance, it seems one of the biggest reason why everyone has not yet joined the Bitcoin troupe is because the price is masked in uncertainty. There are many issues that give rise to concern among potential users of the platform. Top governments have remained largely uninvolved in the platform which has created a sense of great potentials and apprehension for proponents and critics of Bitcoin. There is no regulatory agency that is backing Bitcoin and by supporting a decentralized currency, a government would be seen to be technically relinquishing power in this regard. Its concepts and activities have not been addressed by any government. However, the prices of Bitcoin have been very susceptible to any news regarding the United States government’s opinion about cryptocurrencies. For instance, the Stock Exchange Commission (SEC) denied its approval of Bitcoin-based exchange traded products in 2017. This is essentially Bitcoin backed-assets in the stock market. The implication of this denial resulted in a drop in the price of Bitcoin by 18%. It is intriguing to know that although the opinion and action of the governments have a great effect on Bitcoin; governments have not been able to criminalize the activities of Bitcoin. As a matter of fact, the US and China government have made an investment in it to some extent. This is arguable because currently the price of BTC is pegged at $47 but users still sweat it out. It is very unlikely that the price of Bitcoin will crash and users will not be able to take any action. In spite of this indication, many users are still very unsettled. As more users are investing into the platform, the issue of illiquidity is becoming a negligible factor as there will always be a Bitcoin buyer waiting on a regular basis. As mentioned earlier, the issue of exchange hack has absolutely nothing to do with the reputation of the Bitcoin system. In spite of this, the market still feels unsettled. This unsettlement seems to have reduced over time as many users see that there is steady recovery from the hacks. As exchanges evolve and get more secure, the threat of hacks becomes a minimal issue among traders. In addition to this, external investments channeling into exchanges are making capital available for the market to grow stronger by the day. This is one of the biggest reasons why many users are attracted to Bitcoin. This same reason is why many prospective users are reluctant to join the business. Bitcoin business is viewed as a speculative investment that involves a lot of gambling in the process. This is basically because the future price of Bitcoin is unknown. There have been predictions that one Bitcoin will be equivalent to $500,000 within the next three years while some estimate that it will be worth pennies in a couple of years. The fact is that the more investors get involved in the business, the stronger it will become and the cap will continue to grow which invariably will stabilize the price of Bitcoin. The biggest reason for this is the volatility of Bitcoin prices. Many businesses are yet to adopt the concept of Bitcoin as a means of payment due to its price fluctuation. It is believed that the more people invest and adopt the concept, the stable the prices will become and this disadvantage will be reduced. Although many have heard of Bitcoin but only a few understand what it is all about and how it operates. With widespread information about it, many people will come to understand it and be able to invest in it. The strength of Bitcoin is in its networking effects. The more people know about it and join, the bigger the community and the better the Bitcoin platform. Currently, many companies have grown to help facilitate the sales and purchase of Bitcoin. Prior to this time, it was quite hard to find a reliable company to buy cryptocurrency from. These days, however, many exchanges have gotten massive investments from renowned capitalists. The sale and purchase of Bitcoins are now more regulated with strict measures in place, especially for organizations located outside of the United States. If you are looking for top organizations that help facilitate the purchase of Bitcoins, we have highlighted two of them below. This organization was established in 2015 by Bitcoin gurus, Tyler and Cameron Winklevoss. Although the organization was recently launched, the cryptocurrency exchange has built an excellent reputation for itself in the crypto community. The organization is based in New York and is currently doing amazingly well in the crypto business. Coinbase was launched in 2012 with the aim of providing simple and easier platform to users to make their Bitcoin transaction. The organization is based in San Francisco and it is usually recommended as a better option for Bitcoin purchase for newcomers coming into the business. The design of Bitcoin was attributed to Satoshi Nakamoto. Nakamoto asserts that he was born on the 5th of April 1975 and currently lives in Japan. However, there have been speculations that the brain behind the cryptocurrency is an individual programmer or a group of programmers who are versed in cryptography and computer science in Europe or the United States. Satoshi Nakamoto is believed to have developed the first blockchain database and was the first to resolve the double spending issue that other digital currency platforms have failed to do. Although there have been a lot of mysteries surrounding the creator of Bitcoin, the digital currency has continued to grow in popularity among businesses and government organizations. According to Google Trends structure, 100 is the highest popularity when it comes to the term ‘Bitcoin’ and a value of 50 implies that it was half as famous at that particular time. Over the past few years, the popularity has peaked making it one of the most searched for term on Google. When it was initially launched in 2009, the early adopters were majorly programmers and technical people. However today, a lot of people have ventured into the business and the prices have grown over the years. The popularity, first mover advantage, and network effect has further solidified its position as the most popular cryptocurrency with the biggest market cap. When you understand what makes this cryptocurrency so famous, you are also able to not only conceptualize the future of Bitcoin but also the module operating of other cryptocurrencies. The network of Bitcoin validates its high net worth to new users and offers Bitcoin the rate of viral growth it currently enjoys. Many people dealing in Bitcoin try to hold on to their Bitcoins with the hope to sell them for a huge profit sometime soon. This is not strange as past events have shown the wisdom in this. For instance, if you bought 2,000 Bitcoins for $5 in 2010, today, they worth over $5 million USD. The massive market cap of Bitcoin offers users a high sense of stability and security. With over $100 billion market cap, Bitcoin is definitely a more secure crypto investment. No doubt, Bitcoin is still a very young currency but over the years, it has attained significant growth and user adoption. The network is growing stronger as many people are coming to term with its fundamental technology and the potentials that come with it. Being the flagship of other cryptocurrency platforms, Bitcoin is believed to be the leading cryptocurrency in the world. Understanding the full potential of Bitcoin is the first step to knowing the critical solutions being offered in the cryptocurrency world. The future of the financial world is dependent on cryptocurrencies and equipping yourself with the right tools will ensure you benefit from it. Become a part of cryptocurrency communities to explore all that Bitcoin has to offer.